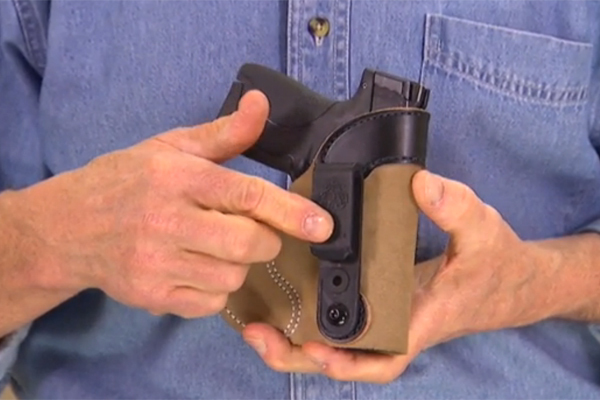 The DeSantis Pocket-Tuk IWB Holster serves a dual purpose in concealment carry. 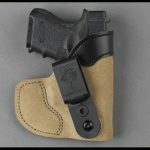 With strut attached it is a IWB holster, once strut is removed it is an easy access pocket holster. 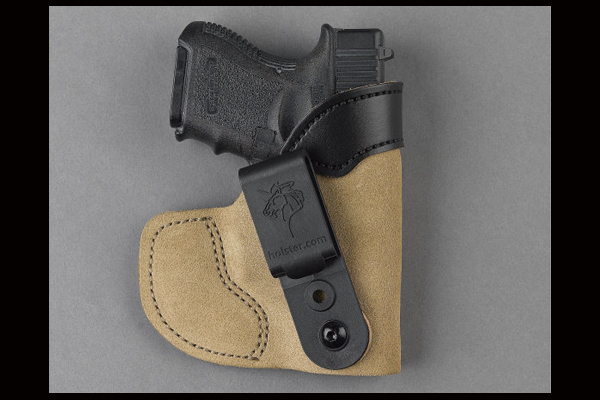 The DeSantis Pocket-Tuk is a dual purpose pocket and tuck-able IWB holster. 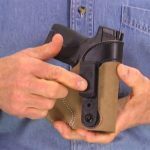 The holster is made out of rough suede with a reinforced mouth, in a configuration that makes it easy to use as a pocket holster. The Pocket-Tuk includes a removable strut, once removed it becomes a tuckable holster. The clip can rotate 360 degrees to fit any carry position, and the reinforced mouth aids in re-holstering. The suede construction helps keep it all in place plus each Pocket-Tuk holster is supplied with a hex key to facilitate clip removal for pocket use. This is available for the same guns and has the same marking codes as style N38, The Nemesis. CLICK HERE to view more Videos on Concealed-Carry!